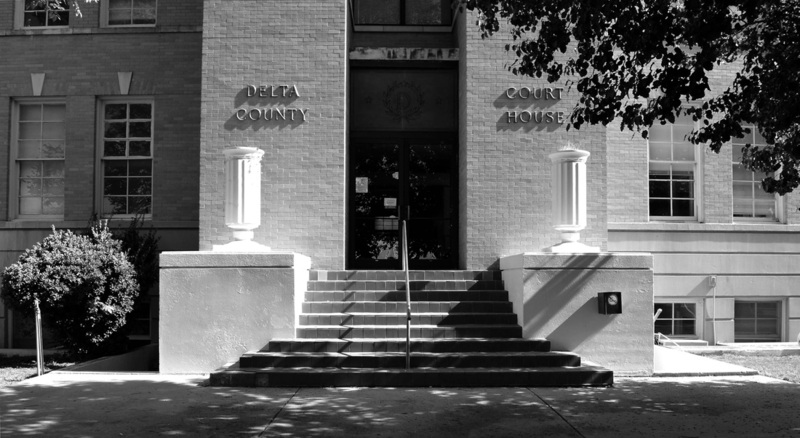 I visited Delta County and photographed the courthouse in Cooper on Saturday, August 3, 2013. 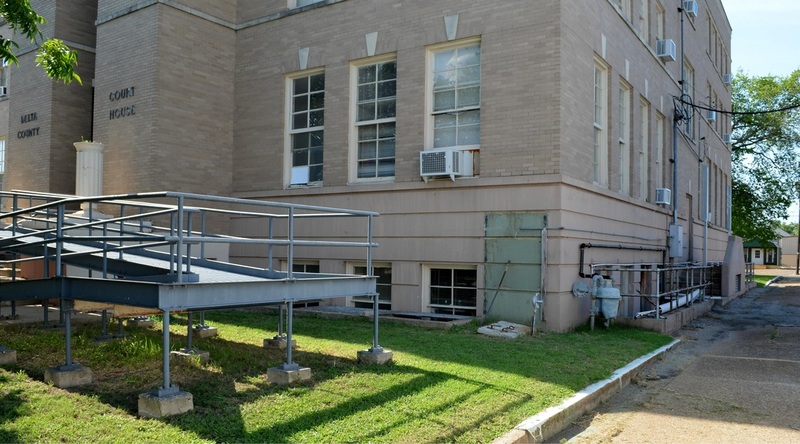 "[Delta County] is bordered by the North Sulphur River on the north and the South Sulphur River on the south. The two waterways join to form the eastern boundary. 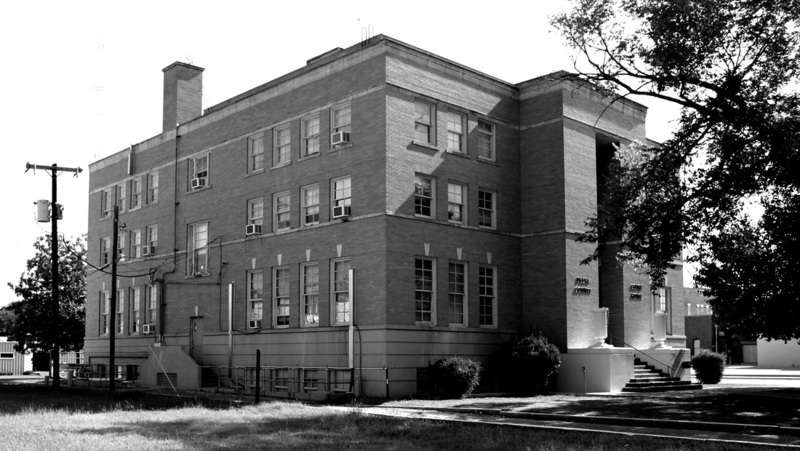 "The county comprises 278 square miles of the Blackland Prairies. The terrain is undulating; the elevation ranges from 400 to 500 feet above mean sea level. "The isolation caused by river boundaries on the north, south, and east, as well as the large Jernigan Thicket on the west, made [travel difficult]. 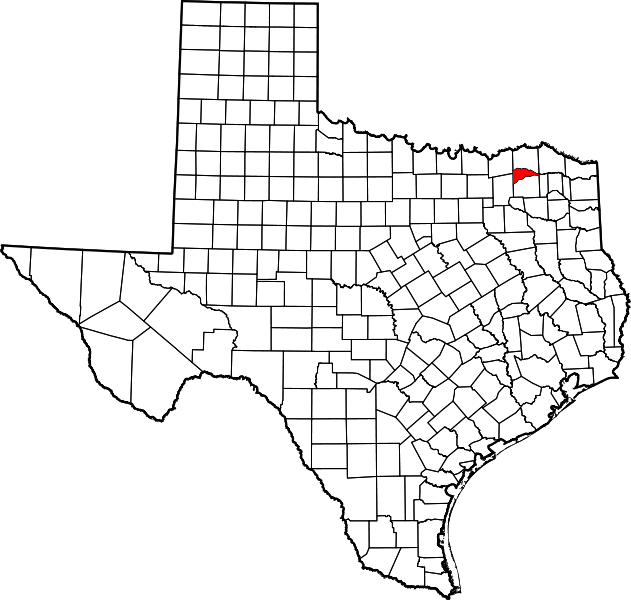 "... in 1836 the government of the new Republic of Texas recognized the land between the Sulphur rivers as part of Red River County. 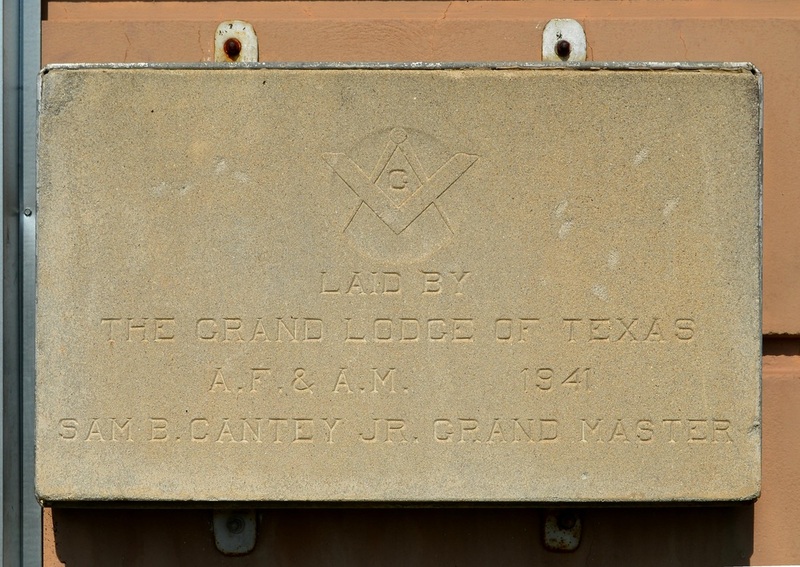 "In 1840 the Congress of Texas formed Lamar County, which included present-day Delta County, from Red River County. 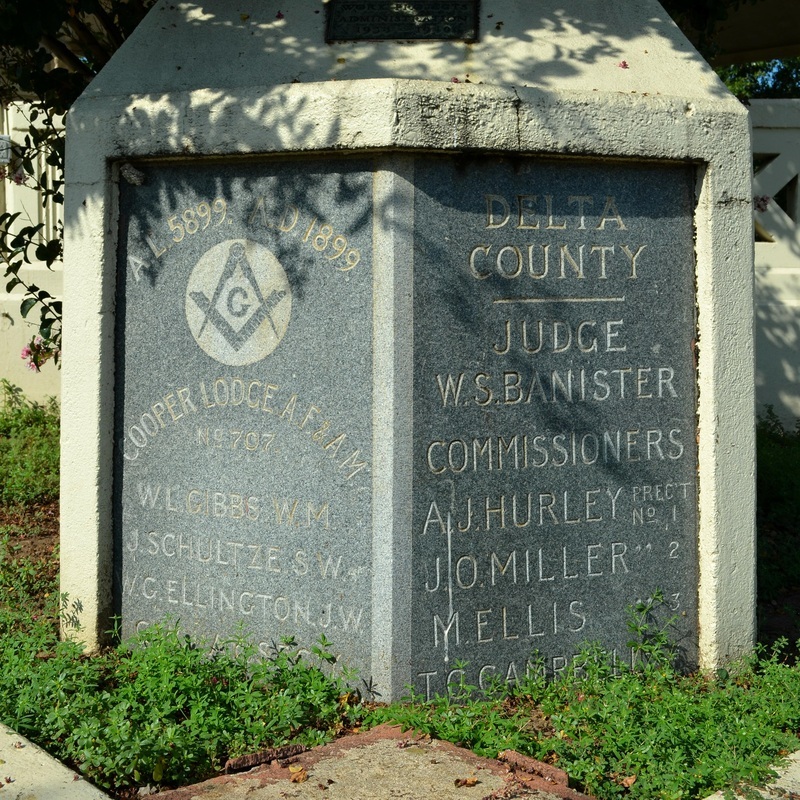 In March 1846 the new state legislature organized Hopkins County, which absorbed the southern two-thirds of Delta County. 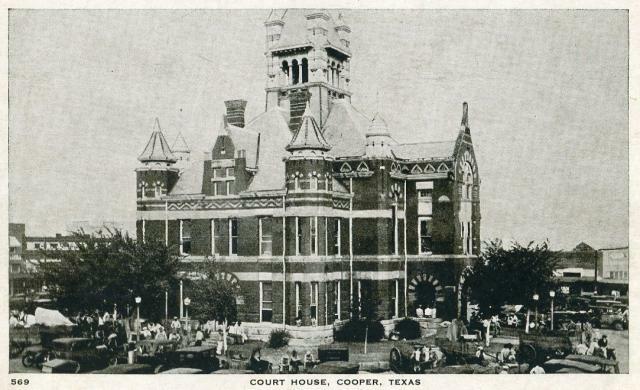 The cornerstone of the 1899 Delta County courthouse is all that remains of this ornate building that stood in the central town square of Cooper, the county seat. 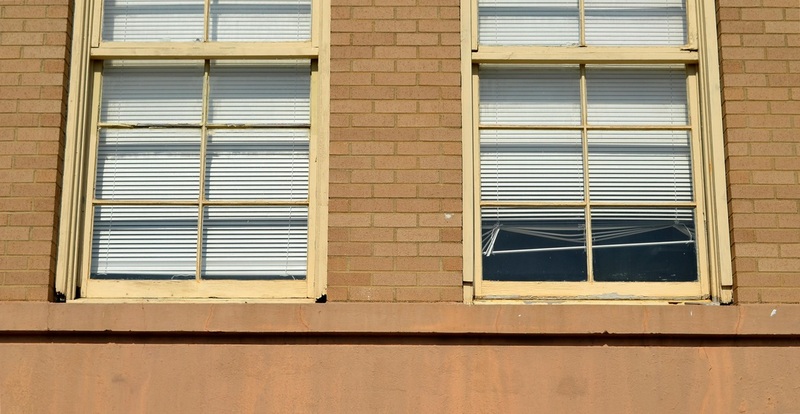 Unfortunately, there is no mention on the cornerstone of the designer of this substantial edifice. 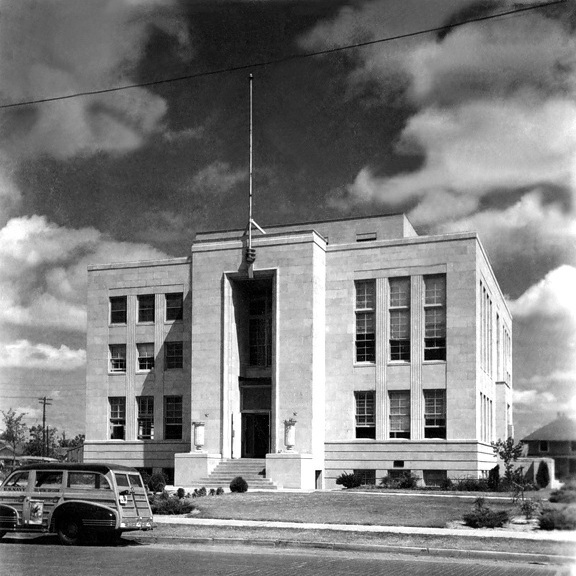 This building was a WPA project, designed by architect Hook Smith. 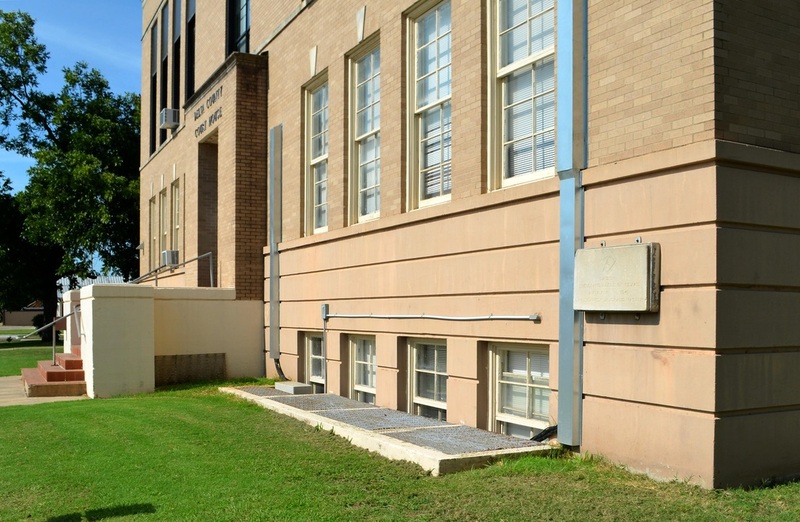 Oddly, the building stone for this courthouse has been framed and attached to the exterior wall, indicating it was removed from its original location at some point. 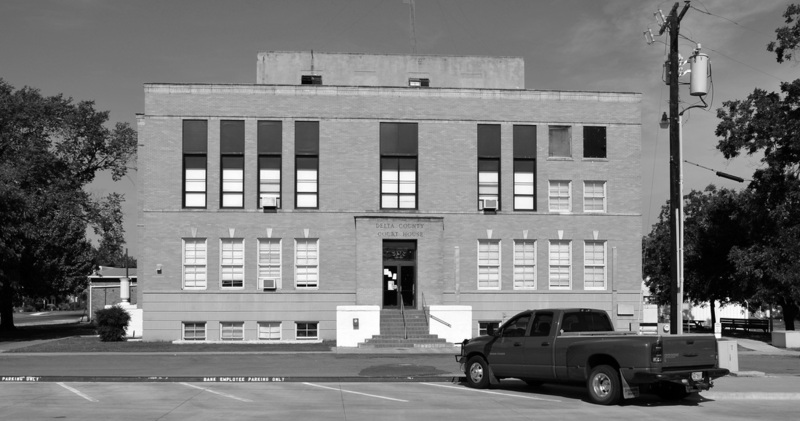 Perhaps in 1977, when the building exterior was "restored" according to "The Texas Courthouse Revisited" by June R. Welch (1984).